I have been for a long walk this afternoon because I wanted to see how far Bulge Wood was from home. I had forgotten just how far it was so today I've walked more than 6.5 miles. 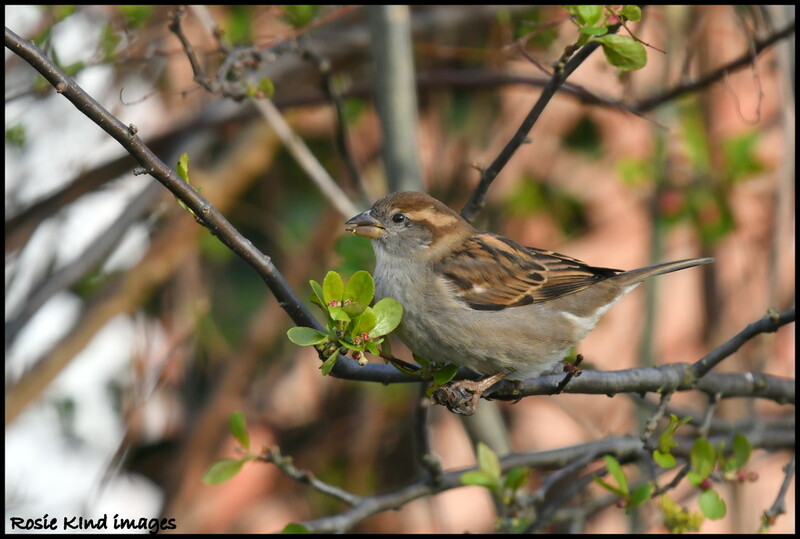 Anyway, I didn't really see anything fantastic but I did see this little female house sparrow in a tree further down the road where I live. For some reason, they don't come up as far as my house which is strange as there is plenty of food here for them. I have been pleased to see Robbie going in and out of the nest box this morning so fingers crossed that there are some little ones going to come into my garden soon. This sparrow is so clear, I feel I could put out a finger and touch her!